The Trek Super Commuter+ is a fast, fun, and stylish way to commute. With a top speed of 45 kilometers per hour (28mph) and a battery you can charge on or off the bike, it is equipped to help you get the most out of your ride. Start enjoying your commute, ride electric. Holly Lawrence doesn’t settle for anyone else’s bike. Like her, you can select the model, fit, styling and components you desire through Project One, and we’ll build your dream bike. Electric bikes sound space-age yet they’re simple in concept. These modern marvels are akin to your favorite two-wheelers and are equipped with battery-powered electric motors that help propel you, all or part of the time. E-bikes as they’re often called, are popular because they’re quiet, non-polluting, and can make cycling a lot more fun for a lot more people. For example, they’re ideal if you’d appreciate a little boost when climbing hills, fighting headwinds and riding for transportation or distance. Commuters find that the motor provides enough extra oomph to eliminate sweating. Electric bikes are wonderful for other uses, too. They’ll let you keep up so you can enjoy riding with a significantly fitter person. They’ll let you travel further with a lot less effort so you can consider biking places you used to drive to. And, they make it possible to do things you might not be able to without motorized assistance, for example, pulling a trailer with the kids or groceries in it. Once you go electric you’re sure to find that it makes your everyday life easier and more convenient. Because electric bikes are classified as bicycles, no license, registration and insurance are required, saving you a bundle (and there are no gas costs and only cheap, basic maintenance needs). What’s more, these zippy (top assisted speed is about 18 mph) bikes let you sneak around traffic jams, are a breeze to park and the most common battery type used, Lithium Ion, can be recharged in a few hours so the bike’s always ready to roll. These advantages have prompted many city dwellers to buy battery bikes as a viable and hip transportation alternative to the automobile. Don’t think that you won’t get any exercise buzzing around on your assisted steed, either. You’re repaid for pedaling with longer battery life (ingeniously, some models also use the energy produced by braking to recharge the battery). Plus, it feels great to pedal when it’s so easy to, so most e-riders actually pedal a lot. Some even ride their green machines as much for fun and staying in shape as they do for basic transportation. It’s nice knowing that you can head out to parts unknown unconcerned that you might tire out and not be able to pedal home. No worries. Just let the motor assist lend a helping hand! Pedal assist (also called pedelec) is an electric bicycle on which you must pedal in order to use the motor. It’s just like a conventional bicycle except that there’s a motor that senses that you’re pedaling and kicks in to aid the pedaling effort. It feels like you have the best tailwind of your life on a permanent basis. Power on command is an e-bike equipped with a motor controlled by a throttle. On these electrics, you don’t have to pedal to benefit from the motor. When you want power, just crank the throttle and away you go. You’ll be able to accelerate in the middle of a corner thus increasing traction. Of course, the less you pedal, the sooner you run out of juice in the battery. So, it’s best to help the motor by pedaling. 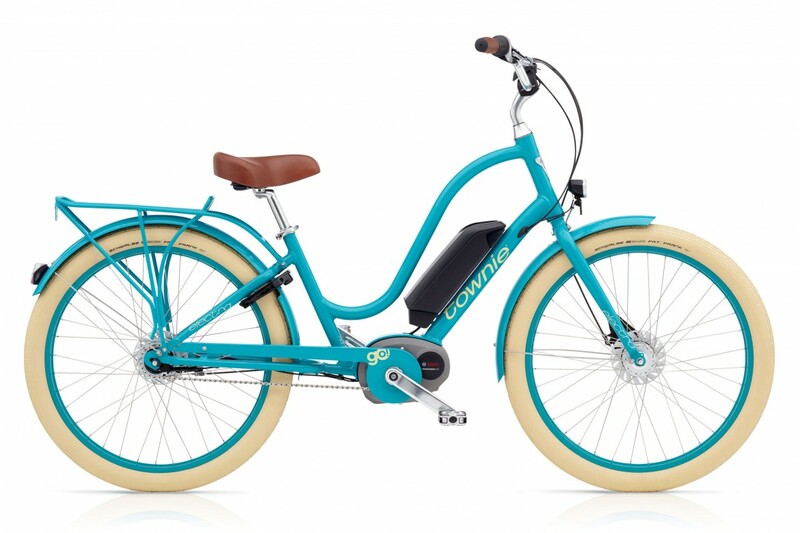 Besides the motors, electric bikes usually come equipped with comfortable seats and handlebars, flat-resistant tires, wide-range gearing and quick-release seats for easy adjustment. You’ll find other nifty features on some models such as fenders, removable batteries, anti-theft alarms, sturdy kickstands and built in locks and lighting systems. It’s also possible to add other accessories you like to your e-bike should you want a bell, mirror or rack. If you already have a bicycle you like for getting around that you’d like to upgrade to electric power, you’ll be happy to hear that there are also electric-bike kits available. We’re happy to help you choose the best kit and set it up. Both types of e-bikes work great and the best way to choose is to check some out. Keep in mind that they’re essentially still basic bicycles, so the things you would consider when shopping for a standard bike apply when looking for an e-bike, too. For example, what kind of drivetrain do you want? If you ride long distances with hills, you’ll probably want a bike with more gears than someone who sticks to flat pavement and shorter routes. Likewise, how much braking power do you want? If you ride in wet, sloppy conditions you’ll appreciate all-weather, low-maintenance disc brakes. If you prefer not to bike in bad weather, you’ll be fine with standard rim brakes. As you shop for your electric bike you’ll also find a wealth of technical information on motors. How much power do you need? Does it matter where the motor is located? Here’s some information to help you weigh the pros and cons. Motor location varies widely and goes a long way toward determining how your electric bike rides. The motor and battery are relatively heavy components on a light bicycle, so their weight affects steering, cornering, acceleration and aerodynamics. The motor’s position relative to the drivetrain also affects what drivetrains can be used as well as their function. We’ve shown the placement and the pros and cons of common motor locations in the chart below. How much power do you need? Will a 250-watt motor be underpowered? Do you need 700 watts? It’s important to realize that comparing watts is not necessarily comparing apples to apples. One manufacturer may list peak (maximum) wattage while another may list continuous (power consumption in a normal condition) wattage. More isn’t always 100% better. What’s more, wattage isn’t torque. Without getting too scientific, we can explain torque as the amount of twisting force that your wheel applies to accelerate — it’s the amount of force that turns into acceleration. Wattage measures the amount of energy expended when velocity is held constant. This means that a bike with a lower wattage could provide more torque and thus feel faster and zippier than a bike with a slightly higher wattage (because the 20mph speed limit on electric power will eventually handicap the higher wattage motor). And neither consideration fully takes bike weight into account. The takeaway is that you shouldn’t value a high-wattage engine over all other factors. Come in, test ride a few bikes and talk to us about which bike is right for you. Can I ride an e-bike in the rain? Yes. Our electric bikes come waterproofed right from the factory. As long as you don’t submerge the whole bike in a lake, you won’t have a problem. Will a conventional bike keep me in better shape? Yes — but only if you use it as much as the electric bike. 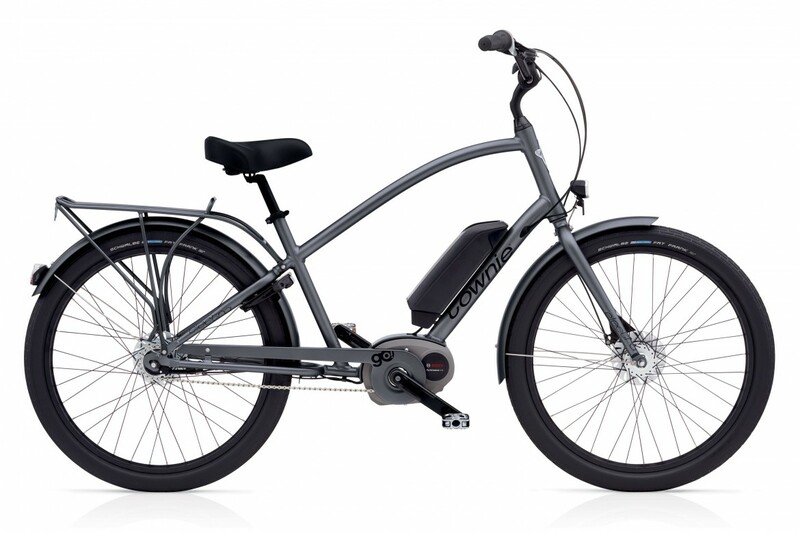 Many e-bike users find that the electric’s benefit on hills and into wind eliminates their fear of riding and gets them out on the bike when they otherwise might not ride. Some are more fit because they ride more often. Slash is designed from the ground up to conquer the gnarliest enduros, in a 29″-optimized package that makes this bike the undisputed king of the mountain. Slash is built to dominate the most demanding mountain and ride with big 29″ wheels on an aggressively capable yet lightweight carbon frame. Throw Slash down the most technical descent and fly back up. Every point where a young rider touches the bike (handlebars, saddle, grips, pedals) has been Dialed to just the right size. The frames, forks, and all the parts have been Dialed to fit kids right from the start, and to keep pace as they grow. The same Trek quality you know and love applies to all our kids’ bikes. Proper fit and quality build mean easier starting, easier stopping, and safer riding.